Frances Jensen talks about her book, The Teenage Brain: A Neuroscientist’s Survival Guide to Raising Adolescents and Young Adults . And marijuana is being used to successfully treat some illnesses. But it’s not so healthy for the developing brain. Addiction psychiatrist Kevin Hill tells us about risks and benefits of pot. 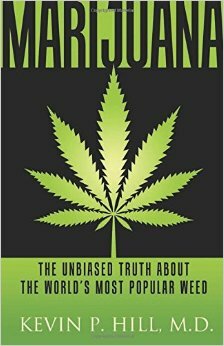 His new book is Marijuana: The Unbiased Truth About The World’s Most Popular Weed. When neurologist Frances Jensen’s two sons hit their teenage years, she was as flummoxed by their impulsive risk-taking and cluelessness about consequences as most parents are when their kids hit that age. But unlike most parents, Jensen could turn her perplexity into a scientific investigation into what really goes on inside the teenage brain. Jensen was then a Professor of Neurology at Harvard Medical School and she also worked with patients at Boston Children’s and Brigham and Women’s Hospitals. 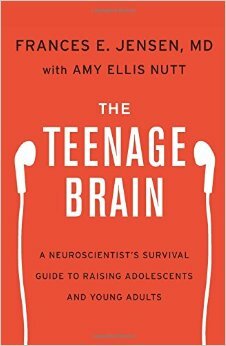 She’s pulled together all the latest research and her clinical experience in her book, The Teenage Brain: A Neuroscientist’s Survival Guide to Raising Adolescents and Young Adults. It provides remarkable insights into why teens learn so much better than adults, but also why that makes them more vulnerable to threats like substance abuse, stress and lack of sleep. Her book clearly explains the science behind teen behavior. It also gives practical tips for parents and teachers to better understand teens and be more effective in helping them. Frances E. Jensen, MD, is Professor and Chair of the Department of Neurology at the Perelman School of Medicine, University of Pennsylvania. Dr. Jensen has researched brain development from the neonatal period through adulthood. She received a 2007 Pioneer Award from the National Institutes of Health for her work on the brain. When it comes to marijuana, there’s a lot of hype both pro and con. 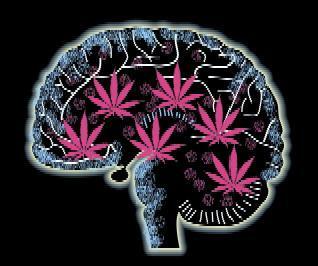 There’s no question that marijuana has an effect on the brain, but is it good or bad? According to psychiatrist Kevin Hill, the answer seems to be: it depends. He says that there’s a huge a gap between the science of marijuana and the public perception of it. In the past, the dangers of marijuana were exaggerated, but now they are being ignored. And young people, who are most at risk, are the least likely to be aware of those risks. Dr. Hill’s book is Marijuana: The Unbiased Truth About The World’s Most Popular Weed. He’s Director of the Substance Abuse Consultation Service at McLean Hospital near Boston and assistant professor of psychiatry at Harvard Medical School.